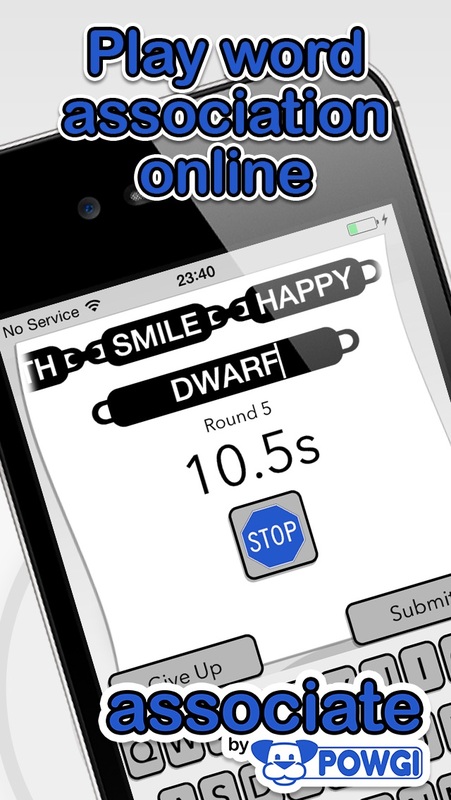 Author: Puzzle On Word Games, Inc. Play word association online! Think quickly: you're playing against an opponent - and the clock! Each new word must be associated with the last one. You can't repeat something that's already been used in the same chain. 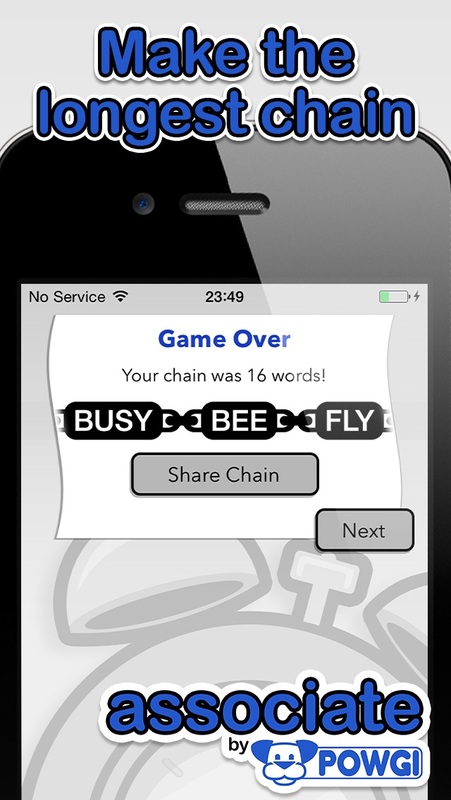 Go for a long chain or try to trip up your opponent to win the game. Keep going until someone makes a mistake, against ever-increasing time pressure! Not sure if two words are associated? Start a poll and let other players decide! Play with your Facebook friends or jump straight into the next available game. Turns are quick and you can play in your own time! Please email support@powgi.com if you need assistance. POWGI has excellent support and we'd rather help you out than get a bad review! by Nexus Management Systems Group Inc.